FAMU junior forward Jhakya Dilworth gets ready to play defense against Savannah State on Jan. 12. 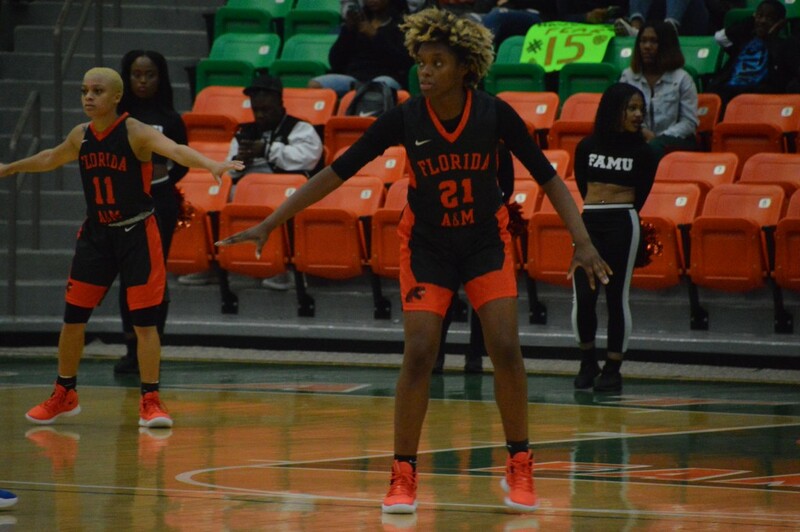 The Florida A&M women’s basketball team (2-13) set out to defend their home territory on Saturday afternoon. Heading into the game, the Rattlers were dead last in their conference, and in desperate need of a win. The game against the Savannah State Tigers (4-8) marked the beginning of a three game homestand, which started out with a disappointing four point loss after Saturday afternoon. Rattlers’ Freshman guard Mya Moye has been a pleasant surprise for the team thus far, leading the team in starts, points per game, and steals in a new program. Yet, the team’s overall inconsistency in offensive efficiency has began to affect her in recent showings. In her last game against Norfolk, she went 2 of 11 from the field, and Moye began this matchup in a similar fashion, at halftime having notched just two points on one of four field goal shooting. She did manage to be a spark in a third period stretch where the Rattlers were able to fight back on home court, gaining control of the lead after some great defensive sequences. She finished the game with 10 points, also hitting a last second three late in the game. Junior forward Dy’Manee Royal, actually a Savannah, GA native, was the talk of the night. She poured in an impressive double-double in a scrappy performance against a team she very well could have been playing for. Her sunshine came with a dark cloud though, as her team ultimately suffered the loss. After the game she answered a question about what the teams focus should be moving forward. “Just not being lazy, going hard all the time, and just competing as a team and playing together as a team,” Royal shared. She ended the game with 17 points and 10 rebounds. Gibson does not blame the team’s energy for the loss. 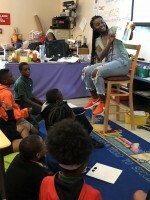 Figuring out some new strategies will improve certain opportunities for her team according to the Rattlers head coach. “We started slow again, missed some easy shots, I just think it’s lack of concentration,” Gibson mentioned in the post-game conference. The Lady Rattler’s next game is Saturday, January 19, at 2 pm, where they are set to take on Maryland-Eastern Shore.